Many potential clients assume that if there no video tape of a DWI arrest, it helps their case. They believe that the absence of such evidence will make it harder for the State to convict them. Some also believe the State will, or must, dismiss the case for lack of video evidence. This is a logical assumption. The State bears the burden of proving the defendant is guilty beyond a reasonable doubt. It doesn’t seem unreasonable that when the State loses critical evidence they should have to dismiss the case (unfortunately, the appellate courts require an impossible showing of “bad faith”). 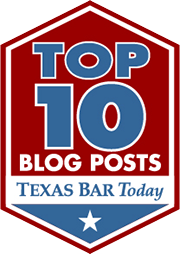 In my experience, the absence of a DWI videotape always hurts the defense more than the State. First, the absence of a video tape leaves out the only unbiased observation of events. Defendants don’t take notes during their arrest (most wouldn’t know what to write anyway). That means the only record of events is the police report. The problem is that the police are not writing objective factual observations. Rather, the police are trying to justify their decision to arrest and present a good case so the prosecutor will file it. For example, most DWI reports state that the defendant had slurred speech, was swaying, failed certain field sobriety tests etc. From reading the report you would be convinced the defendant was falling over drunk. At trial the officer is allowed to read from this report to “refresh his recollection”. This is a strange practice as police reports themselves are inadmissible as evidence (they aren’t trustworthy). So the police officer’s version of events can be the only version presented at trial. Only by playing the video and asking the officer to show which words were slurred, and to show the jury the swaying can you effectively negate this testimony. Without a video tape the defense has at best (if the defendant testifies), a cop versus defendant situation. My experience is that when jurors are asked to believe the testimony of an articulate well trained uniformed police officer or the defendant, they will choose the former. No matter how brilliant my cross examination is, it is the video tape that can convince the judge/ jury that maybe this officer was exaggerating, or did make a mistake. My clients hate when I tell them the same thing. Nice post.